In the government’s recently released national achievement rates tables for 2017-18, the Institute scored in the 95th percentile for overall education and training. It also ranks fourth highest for overall achievement in the country, rising from 17th place in 2016-17. Ricky Coxon, Executive Director Information Services and Planning, also commented: “The latest set of results are a testament to the hard work and amazing ability of all the staff here at the Grimsby Institute. If the Institute’s departments were counted as stand-alone colleges in their own right, four would have been included among the country’s top 10 colleges. 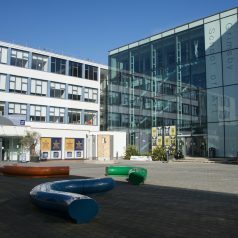 The Faculty of Digital and Creative Industries would rank first, with National Employer Training (NET) a close second. The Faculty of Commercial Enterprise would also be fourth, while Community, Flexible and Distance Learning is in 10th place. Digital and Creative Associate Principal Emma Forrest-Leigh has led her faculty’s rise to the top using a “fun factor” approach to learning. “Nearly every decision we’ve made has been governed by the Student Council and we’ve completely changed the way we deliver courses. “Instead of being studio or classroom-based, our courses are industry-simulated. We don’t have learners, we have crew and production days. “We’ve changed our curriculum to run courses like cyber security and preparation for freelance work, which are all endorsed by employers. Since last year’s statistics, which placed the faculty second in the country, learners have won a gold WorldSkills medal, created video for a project for Prince Harry and Strictly Come Dancing’s Kevin Clifton and featured on BBC News at Ten. 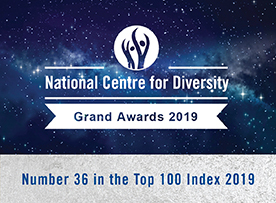 The department has also been shortlisted for a number of awards over the last 12 months, including Beacon Awards for use of technology and international projects. Lee Lister, Associate Principal of Commercial Enterprise, also said he was “incredibly proud” of his faculty’s staff and learners. “We offer provision for everyone from learners with educational needs (SEN), right through to A Level-equivalent Level 3 vocational training. “Every one of these learners needs something different from us throughout their educational journey. “The staff work incredibly hard to understand their learners, ascertain what drives them, what inspires them and more importantly what they want to achieve. “Once we know that we work in partnership with parents, carers, external agencies and our own academic and support teams to provide exciting learning opportunities, academic challenge and work experience in industry for all levels of learner.